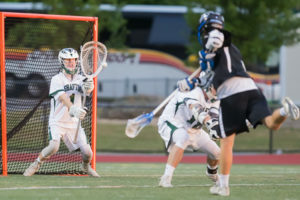 Bolton – The playoff run by the Central/West Division 3 champion Grafton High School Indians boys lacrosse team finally came to an end as they ran into a tough Central/East champion Dover-Sherborn team in the state semi-finals, falling 15-11 in a game played June 20 at Nashoba Regional High School. 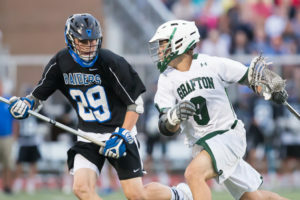 After falling behind 8-2 at one point in the first quarter, Grafton did not give up, continuing to battle and chipping away at the Dover-Sherborn lead. 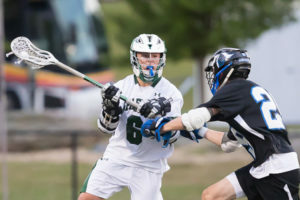 Grafton was able to pull within one, trailing just 12-11 early in the fourth quarter, but Dover-Sherborn scored the final three goals of the game to lock in the victory. Sean Tyldesley and Steve Rotatori scored three goals apiece for Grafton. Grafton concludes their season with an overall 17-6 record. Dover-Sherborn advances to the State Division 3 finals where they will face Cohasset.